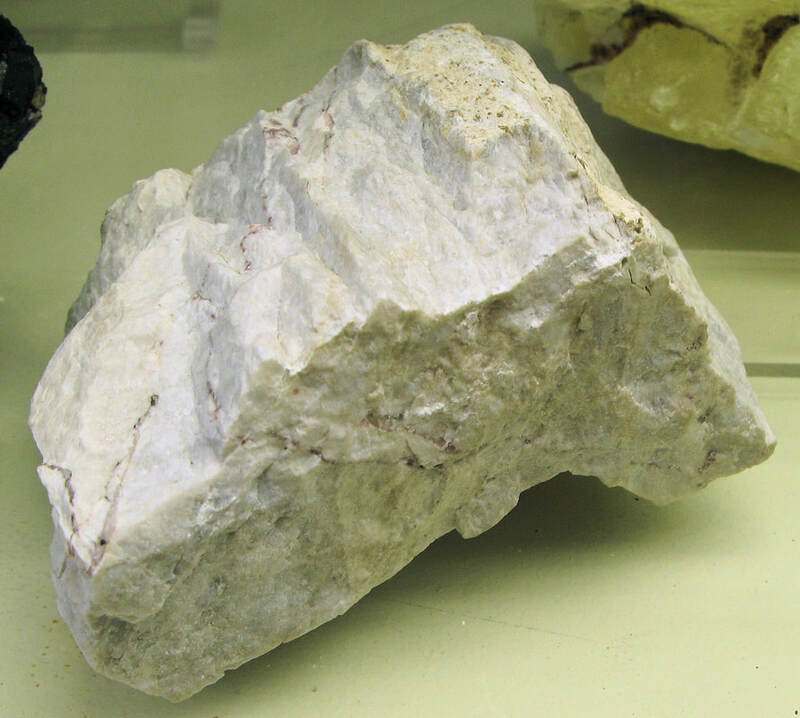 Amblygonite is a fairly common Lithium, Sodium, Aluminium, Phosphate, Fluoride, Hydroxide mineral that belongs to the phosphate class of minerals. 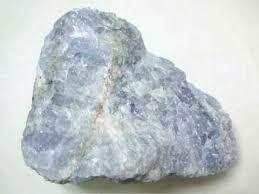 It is found in lithium and phosphate rich pegmatites as a primary mineral. Amblygonite is easily confused with quartz and albite. 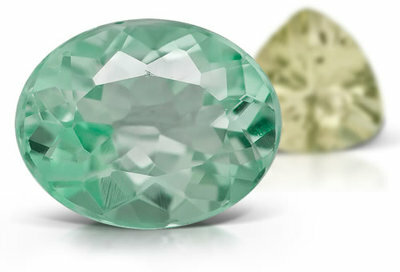 Amblygonite's name is from the Greek words for "blunt angles" which refers to the stones various angled cleavage, it has no less than four different directions of cleavage at different angles from one another. Gem quality Amblygonite is mined in Brazil and Myanmar. ​Amblygonite occurs as white, cream, colourless, pale yellow, green, blue, beige, grey or pink depending on the minor mineral content in the crystal. Amblygonite is translucent and occasionally transparent. 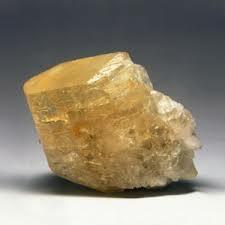 It forms as short prismatic, tablular or equant crystals but more commonly as anhedral masses. Amblygonite activates the electrical systems of the body and covers the thymus gland. This stone protects you against computer emanations. Amblygonite his helpful for stress attention-deficit-hyperactivity-disorder (ADHD) and hyperactivity. ​Amblygonite unites the emotions and the mind, and aligns all the chakra systems so that energy flows more freely between these subtle bodies. This is a useful stone for gently releasing emotional hooks especially where these belong to past partners or parents who still try to retain control. 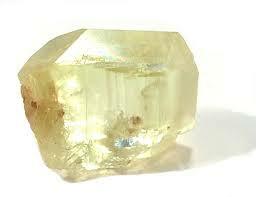 ​Amblygonite also assist in ending relationships without angry consequences. Amblygonite is an extremely creative stone for the arts, promoting and enhancing music, poetry and creativity of all kinds. ​Meditating with it or keeping it close by expands your talents. By strengthening your sense of self worth, Amblygonite awakens your knowing that you are a divine soul who is immortal and passes on to other planes of existence after earth life is over. This stone is efficient for grid work as it specialises on the areas of discordance or public disorder, bringing peace and tranquility, especially where young people are involved.